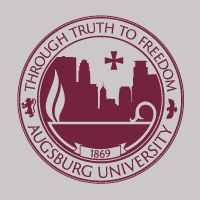 More than 100 Augsburg University undergraduate students were named to the 2018 Summer Semester Dean’s List. The Augsburg University Dean’s List recognizes those full-time students who have achieved a grade point average of 3.50 or higher and those part-time students who have achieved a grade point average of 3.75 or higher in a given term. View the 2018 Summer Semester Dean’s List.